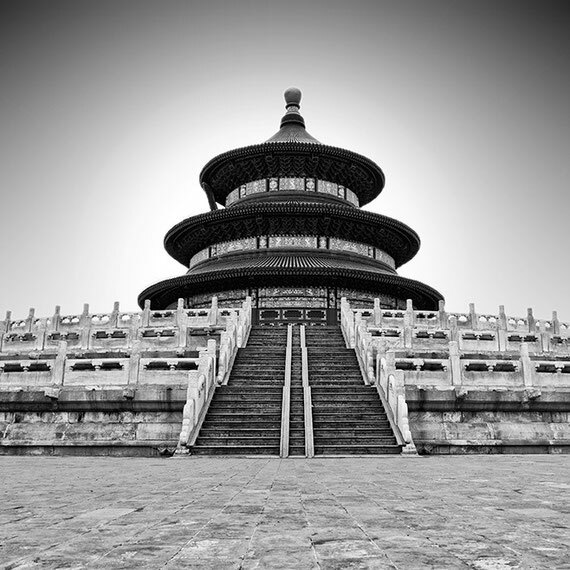 The Temple of Heaven, literally the Altar of Heaven (simplified Chinese: 天坛; traditional Chinese: 天壇; pinyin: Tiāntán; Manchu: Abkai mukdehun) is a complex of religious buildings situated in the southeastern part of central Beijing. The complex was visited by the Emperors of the Ming and Qing dynasties for annual ceremonies of prayer to Heaven for good harvest. It has been regarded as a Taoist temple, although Chinese Heaven worship, especially by the reigning monarch of the day, pre-dates Taoism.